Not long ago I was walking over the entrance to Narrabeen Lakes and I saw this fellow swimming against the tide. I had been talking to my friend about getting an endless pool and all of a sudden here was nature’s version. Over the past few posts I have been thinking about the words we use to describe how humans solve problems, and what sort of skills, capabilities, mindsets and values we need to focus on to ensure that it is the humans that continue to play a productive role in society, rather than be reduced to either slaves or consumers within the Social Machine. I have found myself reacting to the current buzzword of innovation and the fact that every man and his cat is seeking to innovate. We have Innovation Labs, Innovation Agendae, Innovation Grants, Innovation Officers, Innovation programmes – you name it, it’s there madly innovating and gobbling up peoples time, mindsets and resources. But what are we really talking about? Innovation can be defined as a new idea, device or method, something that is both original and more effective that what was there before. The second “i” word we often think about is Invention which is a unique or novel device, method, composition or process. It is different because it achieves a completely unique function or result may be a radical breakthrough. Invention and innovation are different, and should not be confused (see Wired article). The third “i” word that is often cited is Imagination. Imagination is about the faculty of imagining, the creative ability to form images, ideas, and sensations in the mind from input of the senses, such as seeing or hearing. Imagination is perhaps the key “i” word that has led to much of what we now have in the twentieth century, because it has fueled the Science Fiction that is rapidly becoming Science Fact. All of these rest on three fundamental things – information, insight and intuition. Whilst our technological assistants are becoming increasingly good at the first, at the minute it is only us humans that seem to have the upper hand in the latter two. and, when it manifests itself suddenly, it is called an epiphany! Insights are crucial to how we read the world around us, and are often based on our sense of intuition, our ability to understand something instinctively, without the need for conscious reasoning, proof or evidence, or without understanding how the knowledge was acquired. All of these “i” words are important, however there is another, which, in my mind at least, is equally, if not more, important than innovation. 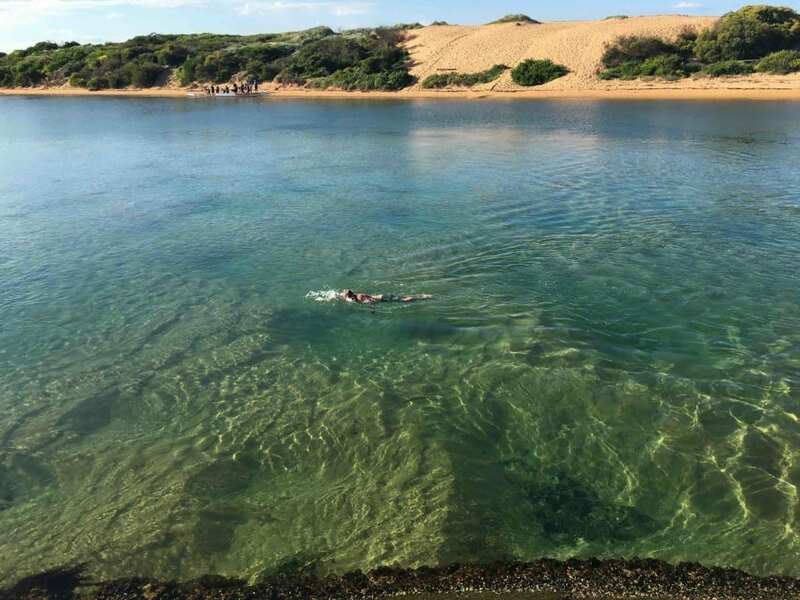 What I saw when I looked at the swimmer in the Narrabeen Lakes was ingenuity – a human being who had observed the natural world, thought about how to harness and utilise the power of nature, and created his own personal endless pool. Ingenuity is all around us, but it is not celebrated or articulated nearly as much as it should be. Ingenuity is at the heart of man and nature, man and machine, and will be what propels us to the next phase. Ingenuity is what I believe countries like Australia are good at, taking something and bending it, breaking it, doing new things with it, and then coming up with a novel way of using it. We can’t all be innovative all the time. Despite the rhetoric and the hype we can’t all start new innovative companies that will one day either turn in to mega-corporations, be innovative within corporate structures that strangle new ideas, or insist that people who are comfortable with routine and are frightened by change all of a sudden innovate. But we can all be ingenius about how we utilise the many technological wonders around us and harness them for our own purposes, rather than sleep-walk in to a future when we are mere consumerist cogs in the wheel. As we hurtle towards a world where our inventions continually redefine everything around us it is imperative that we identify what it is to be uniquely human, and fight to keep it as a priority. The real revolution erupts when everyone has personal workbots, the descendants of Baxter, at their beck and call. Zuboff predicted this in The Support Economy, a text I still highly recommend that everyone should read, and it is this combination of man and machine, the Social Machine, which is now heralding the next wave. This is also what the group at Stanford’s Center on Philanthropy and Civil Society are doing in their work around data principles (see https://digitalimpact.io/digital-data/four-principles/). Thus far Science Fiction has attempted to describe where we are heading, but much of this is now Science Fact. The Future is now, and it is coming more quickly that most people realise with profound social, economic and political implications. This is where we need to harness and utilise all of our “i” talents! When I was young I spent my time educating all of the analogues about digital, now I spend my time educating the digitals about analogue! As we embrace and imbibe more and more of our technologies both around us and within us we need to celebrate and protect what it is to be human, and to understand what that is.